SPLOG ENTRY #1: Send Snacks! I mean, they have the technology to make anything, but the only pizza toppings in our cafeteria are broccoli bits and proton sprinkles! 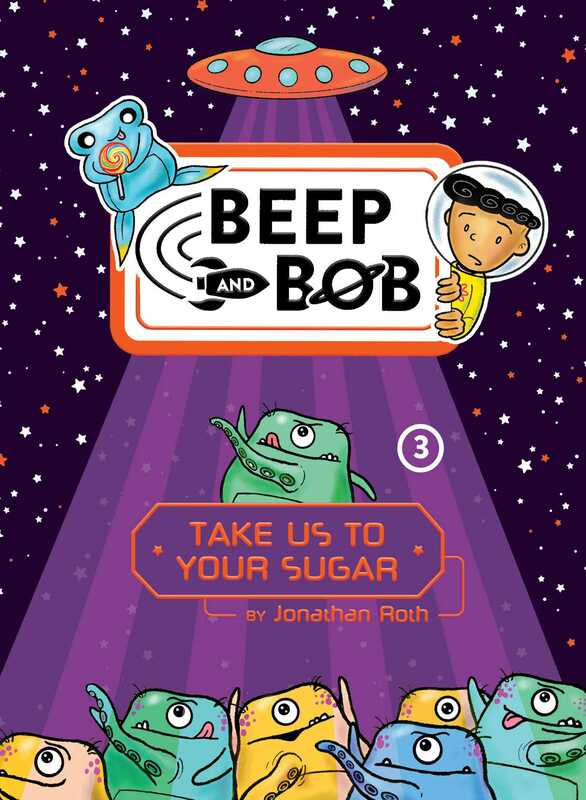 Beep just said, “Sprinkles, yum!” Beep is a young alien who got separated from his 600 siblings when they were playing hide-and-seek in some asteroid field. Then he floated around space for a while, until he ended up here. Sad, huh? You know what’s even sadder? I was the one who found him knocking on our space station’s air lock door and let him in. Now he thinks I’m his new mother! Obviously, Beep can be very confused (especially about food, since he tastes with his eyes). But I still like him. Beep is pretty good at drawing, so I let him do all the pictures for these space logs (splogs, as we call them). Unfortunately, his pencils are yellow, so he thinks they taste like banana. It’s not even snack time, and he’s already gone through a dozen!